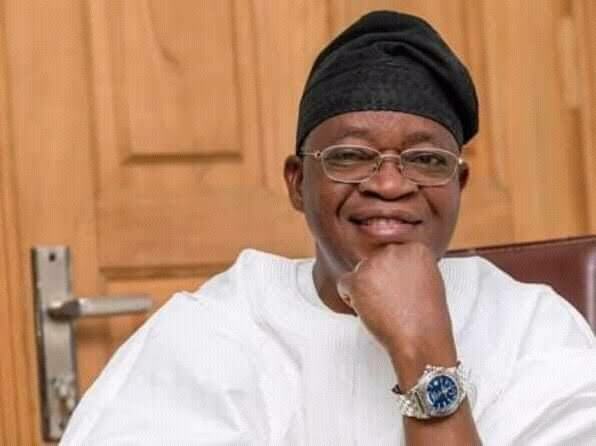 Election into the Office of the Governor of the State of Osun was held on Saturday September 22, 2018, in which Gboyega Oyetola flew the flag of the All Progressives Congress (APC) in a contest with 47 other candidates, representing their different political parties. In an acceptance speech by the governor elect, Gboyega Oyetola, he stated that " the election was declared inconclusive after the first ballot and a rerun was slated for Thursday September 27, 2018 in seven polling units in Ife North, Ife South, Orolu and Osogbo Local Governments Areas of the State. Oyetola said "This was disappointing. We had enough evidence and field reports, including signed result sheets, from our agents that confirmed that we won outrightly. However, as democrats, we accepted the verdict in good faith and prepared for the rerun.
" In the end, I was declared winner by the Independent National Electoral Commission (INEC) after securing the highest number of votes cast in the election. Oyetola gives thanks to the Almighty God for His grace and divine enablement upon his life; and for fulfilling His promise to bless the land and people of Osun through him." Oyetola stressed that he regard the mandate given to him by the good people of Osun as sacred and he is taking it seriously. Of course, "I have been part of the new beginning that started eight years ago.
" Nevertheless, in continuing the glorious path on which I am now very familiar, it is a new beginning for me. I am committing myself the more to the good governance of Osun and the welfare of the people.
" I will run an inclusive and participatory government. I will consult with the party, workers, communities, traditional rulers, the civil society and the people of the state in their heterogeneity. I will engage the youth, tap into their ideas and enable them to unleash their creative energy in a positive way. "I pledge to serve God and humanity and the people of Osun with my whole being, without prejudice to religion, ethnicity, race and ideology. He appreciates his great party, APC, for the overwhelming support given to him, all through the campaign and for believing in him. The National Chairman, Comrade Adams Oshiomhole, the national campaign committee headed by Governor Umar Ganduje and all the APC governors have his commendations and infinite gratitude.
" I will like to express my profound gratitude to President Muhammadu Buhari for his invaluable support and for leading a delegation of party and government officials to my campaign. Vice President Yemi Osinbajo did a yeoman’s job. He made several trips to Osun and supported the campaign with all available resources. "My immense gratitude goes to Asiwaju Bola Ahmed Tinubu, the leader of leaders, for his selflessness and absolute commitment to my election campaign and for giving his all.
" I also congratulate Ogbeni Rauf Aregbesola, under whom I cut my political teeth and whose tenure was on trial during the election. I cannot thank enough Ogbeni Rauf Aregbesola, who gave me an opportunity to serve and who carried me on his shoulders when the going was tough. He also thank the coalition that emerged for the rerun, including Senator Iyiola Omisore of the Social Democratic Party (SDP) and Osun Alliance of Collaborating Political Parties (ACPP) that wholeheartedly endorsed and supported my candidature. He thank all the people of Osun, especially those who believe in our cause and voted for me. It is your victory. I thank our royal fathers, workers, transporters, market women and men. The security agencies deserve commendation for keeping the peace and for their prompt response to every security challenge before, during and after the election as well as the media too for their coverage.
" Once again, I congratulate and thank all member of APC in Osun for our hard-won victory.